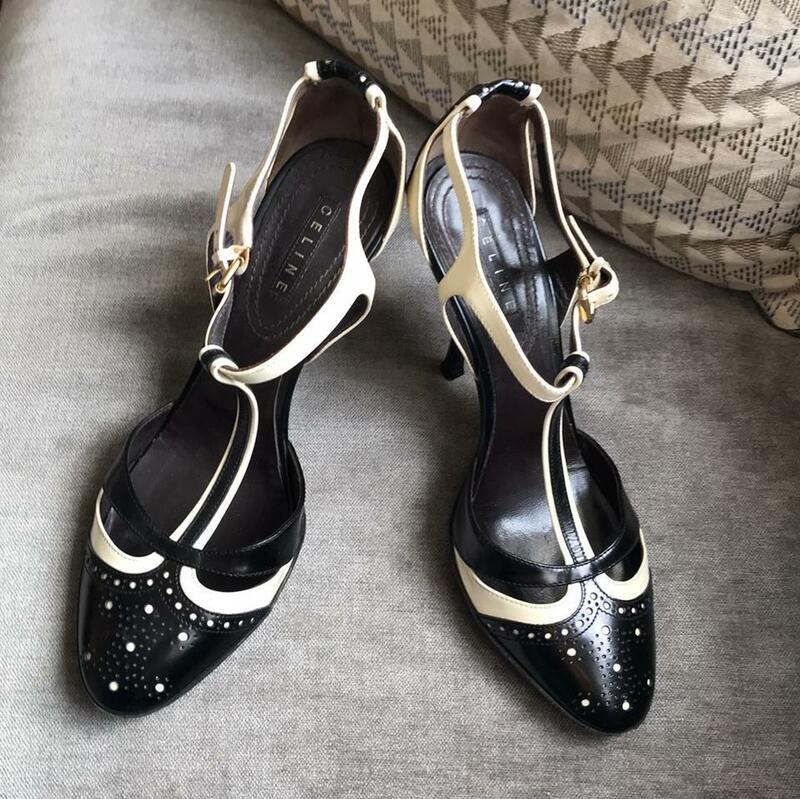 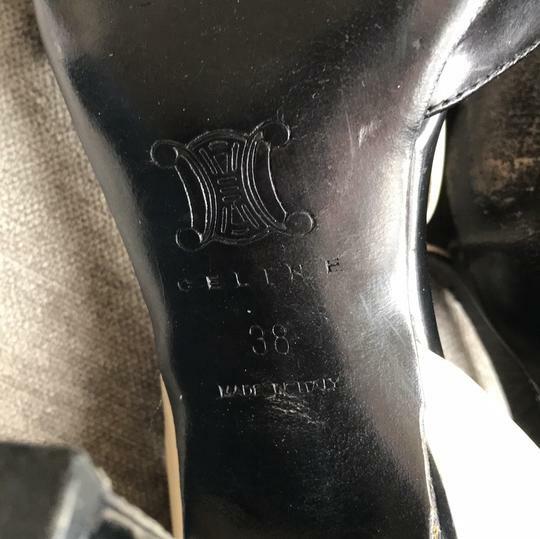 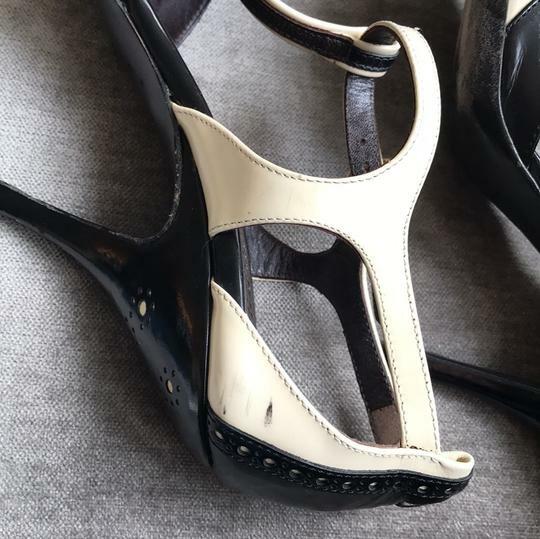 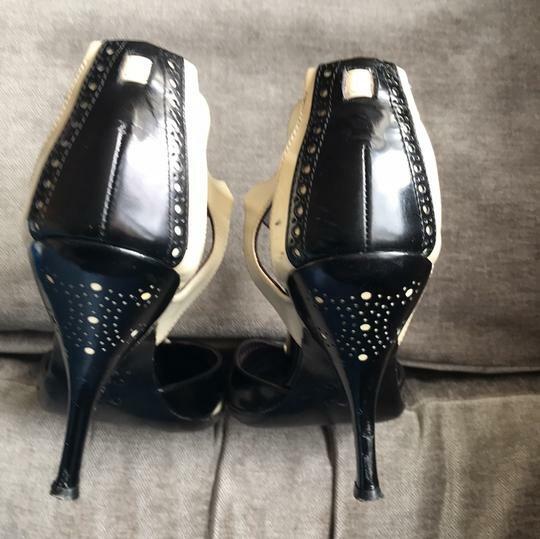 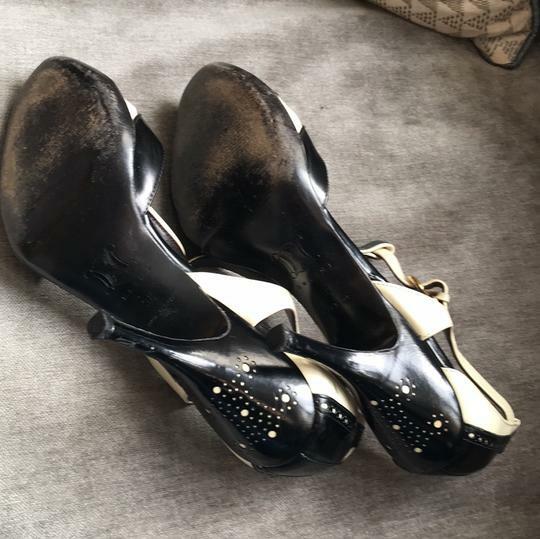 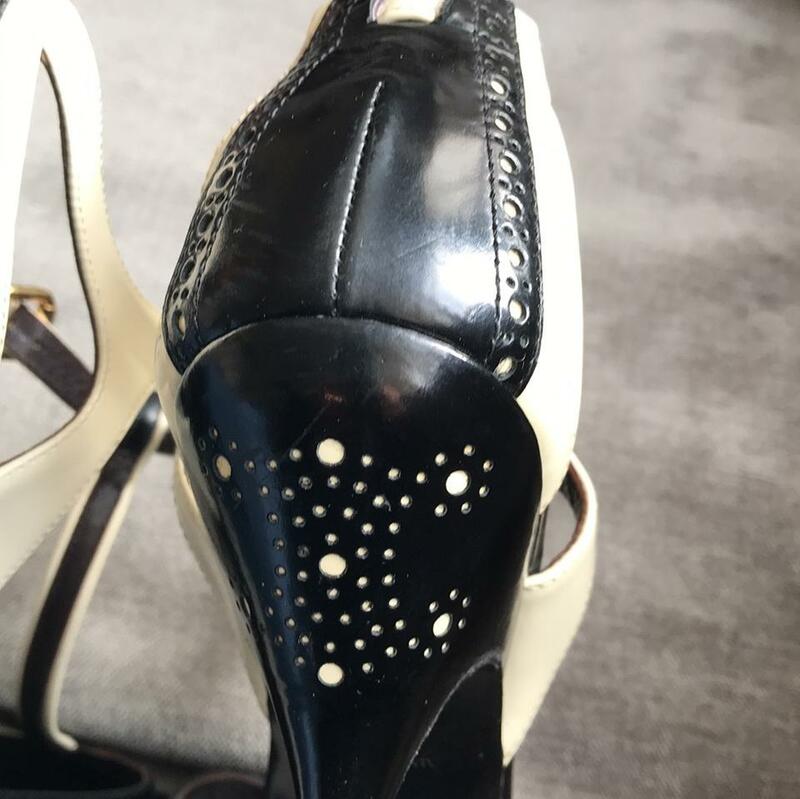 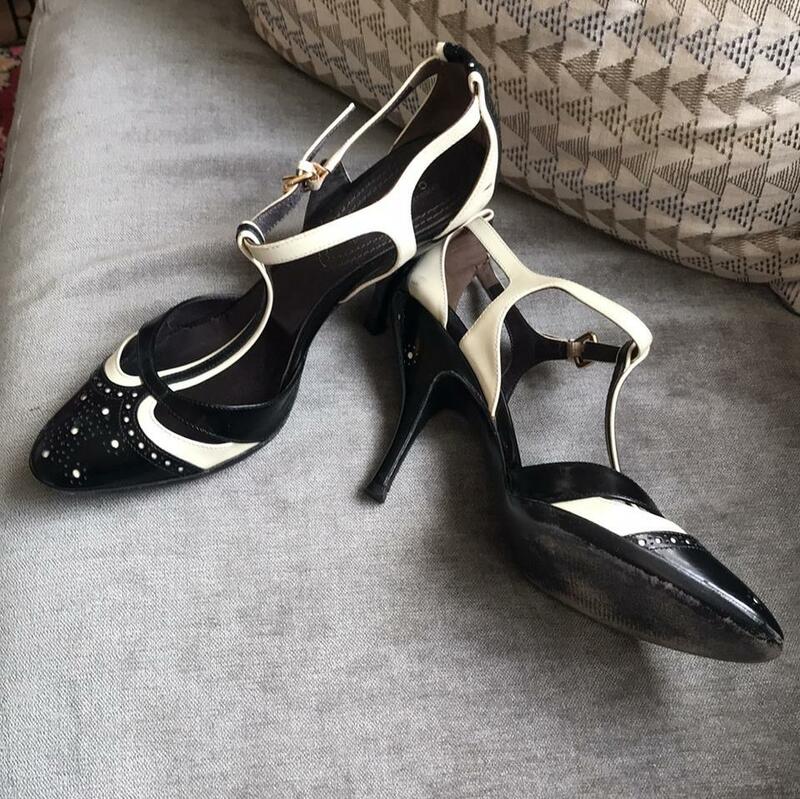 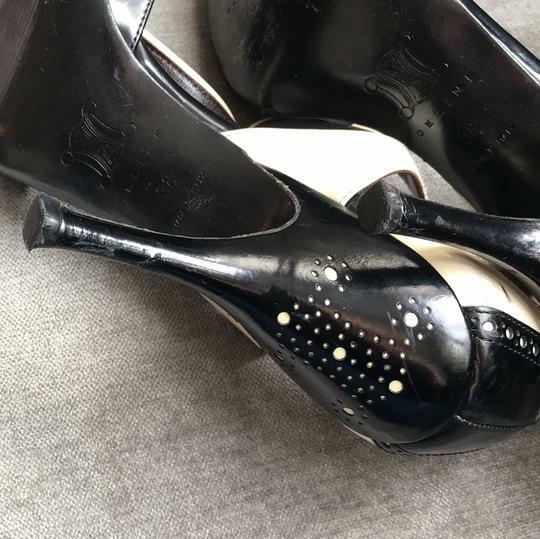 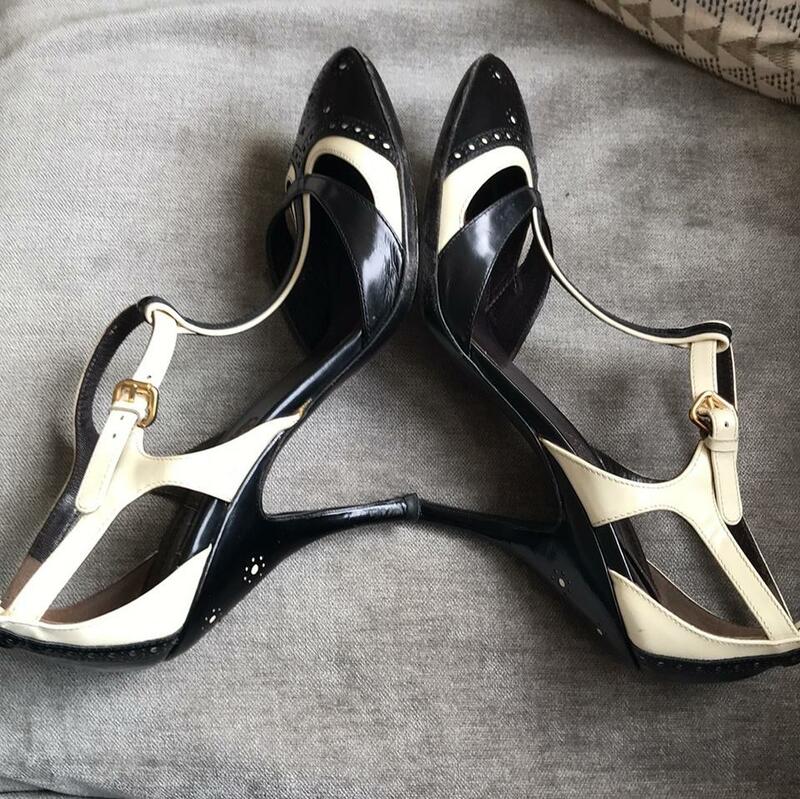 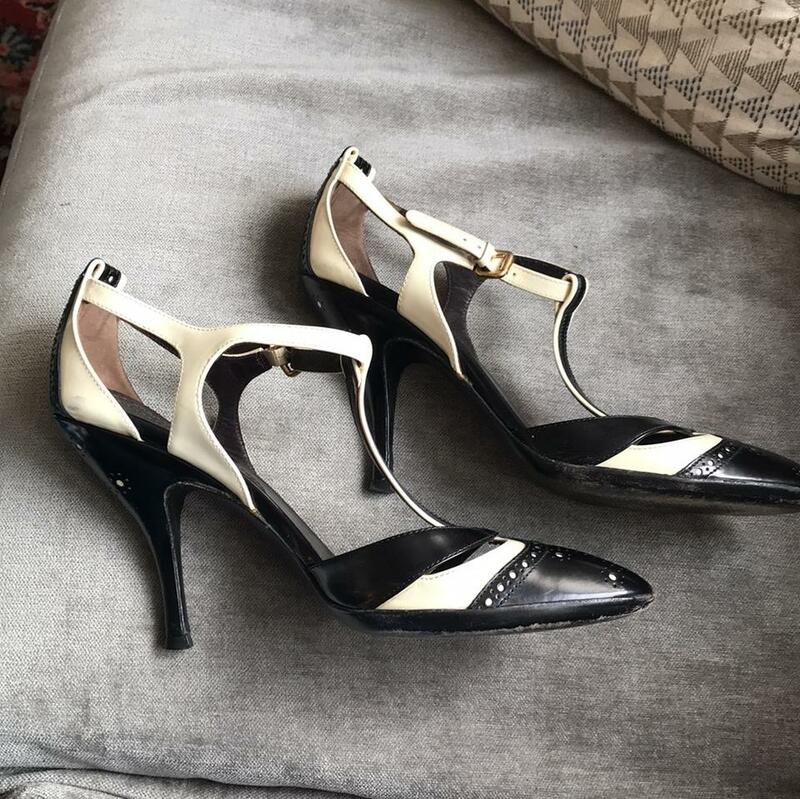 Celine black and ivory heels have open sides with a T-strap ankle strap and 4" heels. They are size 38. 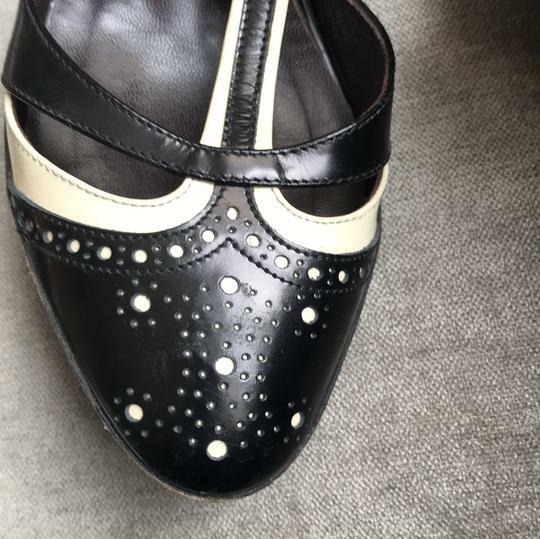 They are about a US size 7.5.